The city of Lakewood has chosen Liberty Development Company of Cleveland to build an expected 40 town home units at the site of the former McKinley Elementary School in one of the city’s largest land redevelopment projects of the year. The selection comes after a comprehensive search during the request for qualifications process announced in June. The proposed for-sale housing units will be designed for energy efficiency and will include elements such as first-floor bedrooms, bathrooms and attached garages. 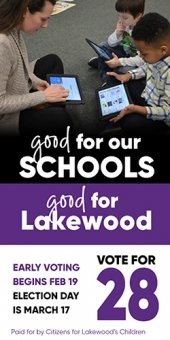 “This exciting news means that Lakewood will continue to further strengthen our already diverse housing stock,” said Lakewood Mayor Michael Summers, who attended elementary school at McKinley. The project is expected to be completed in the Fall 2017 and be valued at more than $10 million. “This is the second major new residential development in Lakewood in recent history and a nice complement to the $90 million in private commercial investments during the past five years,” Summers said. Liberty Development President Tom Kuluris, a resident of the neighborhood and also a former McKinley student, said he is looking forward to working with the mayor and the administration. The 2.9-acre site was cleared over the summer to make way for development after the city purchased the property from the Lakewood Board of Education in October 2013. City council will have final approval on the sale of the property to Liberty Development. 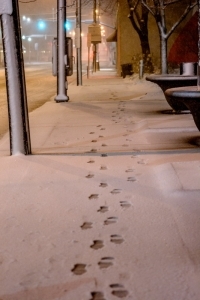 The project also still needs approval from the city’s planning commission and architectural board of review. 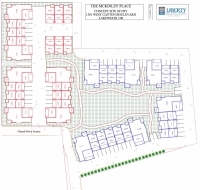 Liberty Development hopes to break ground on McKinley Place in the summer of 2015. A public meeting to present the design concepts is slated to take place in the auditorium at Horace Mann Elementary School at 6:30 p.m. Tuesday, November 11.